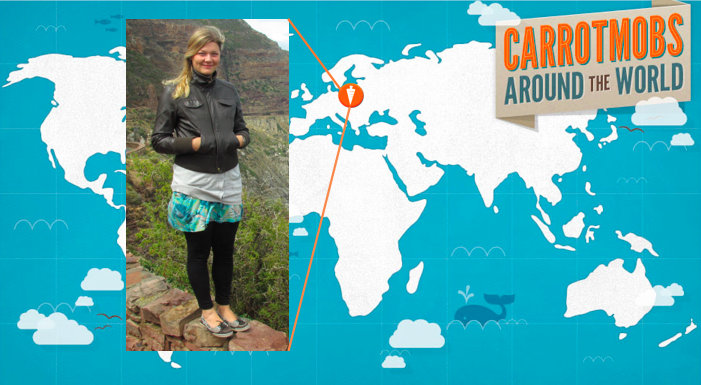 Triin Sakermaa tells us how and why she brought Carrotmob from South Africa to Estonia last year with the help of fellow organizers Maarit Cimolonskas, Minni Triin Kasemets, Rille Pihlak, and Mirjam Sutrop. Q:How did you first learn about Carrotmob? A: We first learned about Carrotmob during a seminar we all attended for the Global Education Network for Young Europeans conference. There were many Germans attending, and as you know Germany is a Carrotmob country! They were very excited to tell us about the Carrotmob model. Q: What drew you to Carrotmob? A: It's an awesome grassroots movement that can change the world for the better! 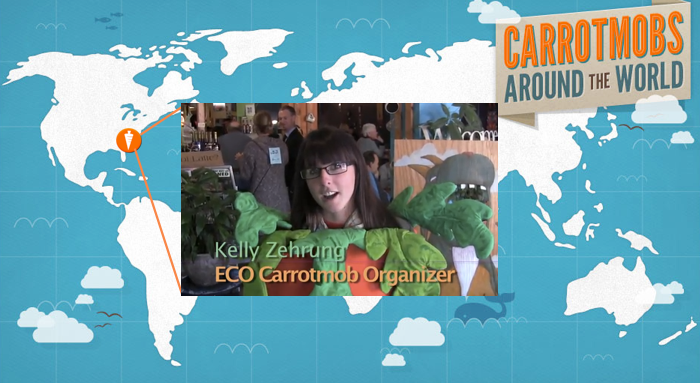 I worked with Julia Karl in Cape Town and helped her organise the first ever Carrotmob in Africa. I saw how this idea appeals to people all over the world, how it makes everybody involved more positive and optimistic and you can actually see results after the Carrotmob. A: I Carrotmob because I believe that within this generation we can change the world for the better. We can change ourselves and people around us to live more sustainably, to care more about the world and each other, and to more effectively combat global issues such as climate change and intolerance. With the help of Carrotmob we can start to change businesses and consumers today instead of waiting for a policy that would regulate businesses or consumption!